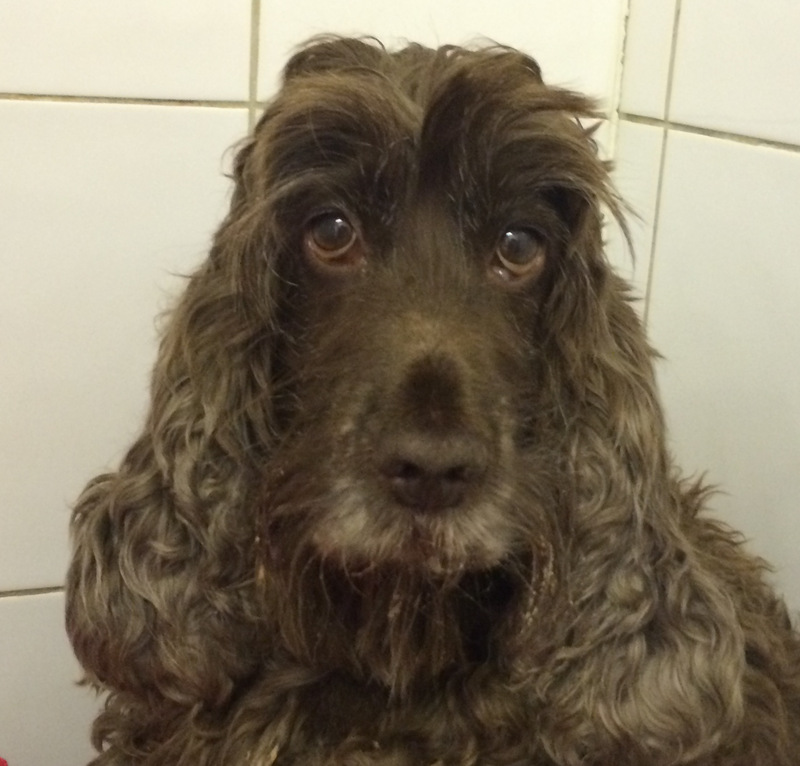 Poor Coco is currently in our clinic suffering from her second bout of pancreatitis. She is a delight to look after and is making good progress. The pancreas is an organ in the abdomen which is responsible for releasing enzymes to digest food. The pancreas also releases important hormones, such as insulin, into the bloodstream. Pancreatitis occurs when the pancreas becomes inflamed, tender and swollen. In most cases pancreatitis occurs for no apparent underlying reason, although sometimes it can have a particular cause such as scavenging food. Pancreatitis most commonly affects middle aged to older dogs, but in addition, dogs of certain breeds (e.g. Cocker Spaniels and Terrier breeds) are more prone to developing the condition. Pancreatitis can cause a variety of symptoms, ranging from relatively mild signs (e.g. a reduced appetite) to very severe illness (e.g. multiple organ failure). The most common symptoms of pancreatitis include lethargy, loss of appetite, vomiting, abdominal pain (highlighted by restlessness and discomfort) and diarrhoea such as was the case with Coco. Coco’s diagnosis was confirmed through the combination of clinical signs, a positive result to a specific blood test called ‘canine pancreatic lipase’ as well as an ultrasound scan. There is no specific cure for pancreatitis, and fortunately most dogs recover with appropriate supportive treatment such as intravenous fluids and the use of medications which combat nausea and pain. As with Coco most dogs with pancreatitis need to be hospitalised to provide treatment and to undertake necessary monitoring. In some instances, dogs can suffer repeated bouts of the condition (called ‘chronic pancreatitis’) and this may require long term management with dietary and other means. Ticks are second only to mosquitoes throughout the world in transmitting infectious disease to humans and animals. 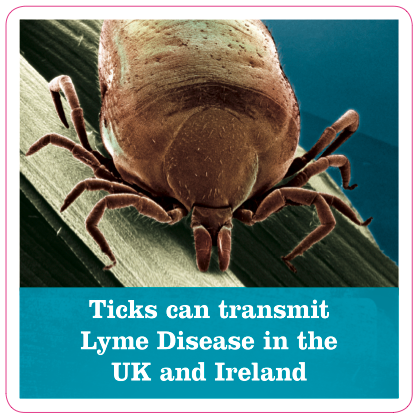 Although the majority of tick-borne diseases in dogs and cats are thought to be exotic to the UK, Lyme disease and Anaplasmosis are already present in the UK, both having the potential to infect not only pets but humans as well. LYME DISEASE is a bacterial infection that is usually carried by the deer tick. Symptoms include lameness, fever, loss of appetite, fatigue and an abnormal enlargement of the lymph nodes. It is often treatable with antibiotics. ANAPLASMOSIS is an infectious blood disease that attacks the white blood cells, crippling the immune system. Symptoms include fever, depression, seizures, meningitis, lameness and joint swelling, weight loss, and loss of appetite. It is treatable with antibiotics. Contact your veterinary surgeon immediately to book an appointment. In addition please be aware that life-threatening tick-borne diseases such as Babesiosis and Ehrlichioisis can be transmitted to pets travelling abroad, even as close to home as France, therefore regular tick treatment for travelling pets is vital! Call in for advice.